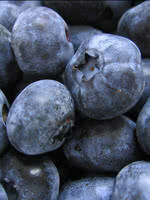 Northblue Blueberry produces the best tasting of the half-high blueberries we carry. It's a cross between a highbush and a lowbush variety, which makes it suitable for smaller yards. 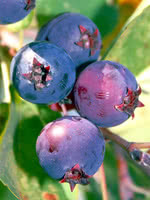 For its size, Northblue Blueberry produces abundant quantities of large, firm berries. They are sweet and juicy. While this variety is self-pollinating, we recommend pairing it with another suitable blueberry to increase the berry production of both varieties.